5.7 out of 10 based on 8 verified user reviews via Agoda. 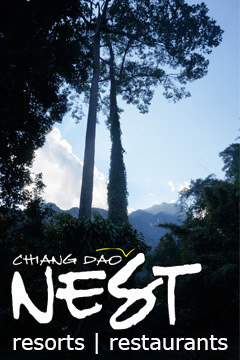 Stop at The Teak Resort @ Chiangdao to discover the wonders of Chiang Dao. The property features a wide range of facilities to make your stay a pleasant experience. Take advantage of the hotel's 24-hour security, daily housekeeping, car park, BBQ facilities, coffee shop. Television LCD/plasma screen, additional bathroom, additional toilet, air purifier, clothes rack can be found in selected guestrooms. The hotel offers various recreational opportunities. Friendly staff, great facilities and close proximity to all that Chiang Dao has to offer are three great reasons you should stay at The Teak Resort @ Chiangdao. The Teak Resort @ Chiangdao - Chiang Dao classifies itself as a 3 star hotel.